Jurassic Park – Did You See That One? John Hammond (Attenborough) has invested his wealth into a unique scientific experiment aimed at bringing the dinosaurs back from extinction. After finding success, he’s established a park as a way for the world to see these creatures. When he invites scientists Alan Grant (Neill) and Ellie Sattler (Dern) to preview his park, he’s hoping for a ringing endorsement. Alongside Hammond’s grandchildren and scientist Ian Malcolm (Goldblum), Grant and Sattler head off for a tour of this amazing park. Soon, this experience goes from inspiring to terrifying as the park proves unable to contain the prehistoric creatures. This 1993 film is the perfect example of a summer blockbuster. The film earned over 80 million dollars in the first week of showings. Eventually this movie would earn close to a billion dollars . From a critical standpoint this movie didn’t do too badly either. The film earned three Oscars, winning for Best Visual Effects, Best Sound Effects, and Best Sound. 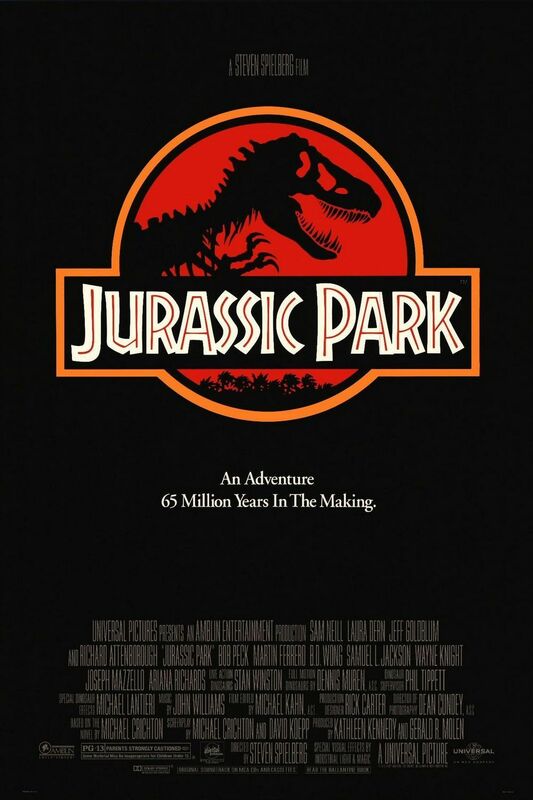 The movie was created based on the best-selling novel Jurassic Park which was penned by Michael Crichton (Twister). Crichton also worked with David Koepp (Jack Ryan: Shadow Recruit) to finish the screenplay. Steven Spielberg (E.T. the Extra-Terrestrial) took on the film as director. 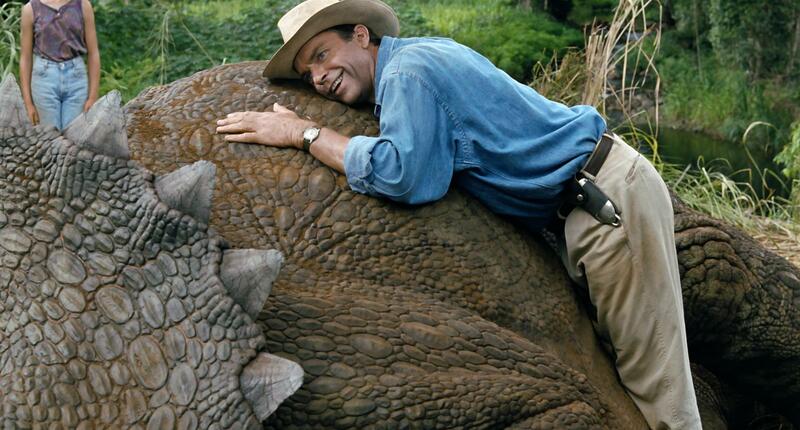 The cast for this one includes Sam Neill (The Piano), Laura Dern (The Master), and Jeff Goldblum (The Big Chill). The cast also includes Richard Attenborough (The Great Escape) and Samuel L. Jackson (Pulp Fiction). This story is a mix of science-fiction and thriller elements that come together perfectly. The science behind the story might not be real, but it’s explained in a way that works with the overall story. The film also presents the characters with a great series of introductory scenes. The action in the film is excellently built around suspenseful moments. In addition, the movie features enough lighter moments to really balance out nicely. One of the best aspects of this movie is the sense of wonder capitalized on both visually and through dialogue. Like Spielberg’s E.T. 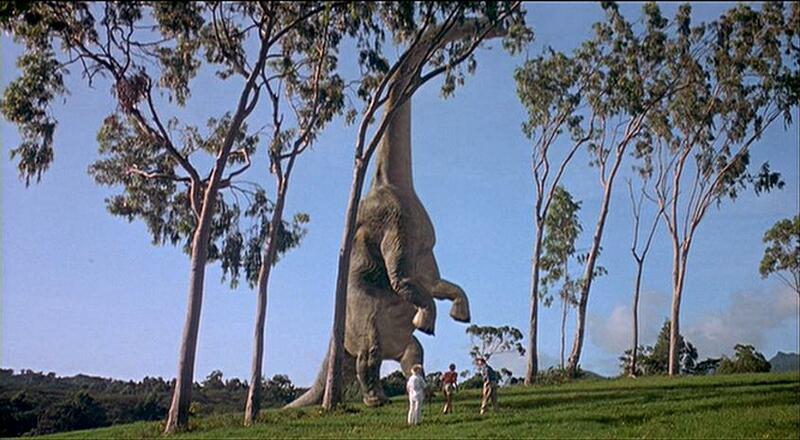 the Extra Terrestrial, this movie seems to play to the inner child’s desire to see real dinosaurs. In this instance, the story takes a different direction, but the feeling is still there. Overall, this is one of the better adaptations of a great novel into a film. The acting in this movie does just what it needs to do. Neill, Dern, and Goldblum all fit perfectly into the roles they’re playing. 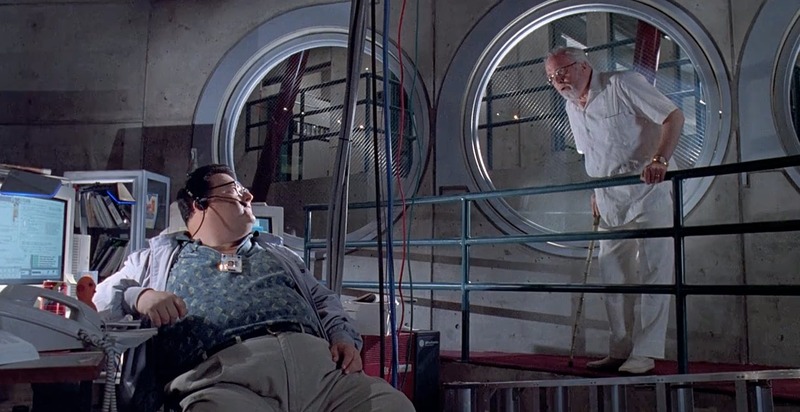 In addition, I don’t think anyone could’ve played John Hammond better than the late Richard Attenborough. His performance brought out all of the passion his character needed. The dialogue does a lot of exposition, but the acting really keeps this movie from slowing or becoming bogged down in the details. Samuel L. Jackson does a good job with a smaller role, as does the rest of the cast. Overall, this film has all of the great acting moments needed to build the suspense and keep the action going. The obvious strength of this movie is the visual and audio work done in presenting the action. 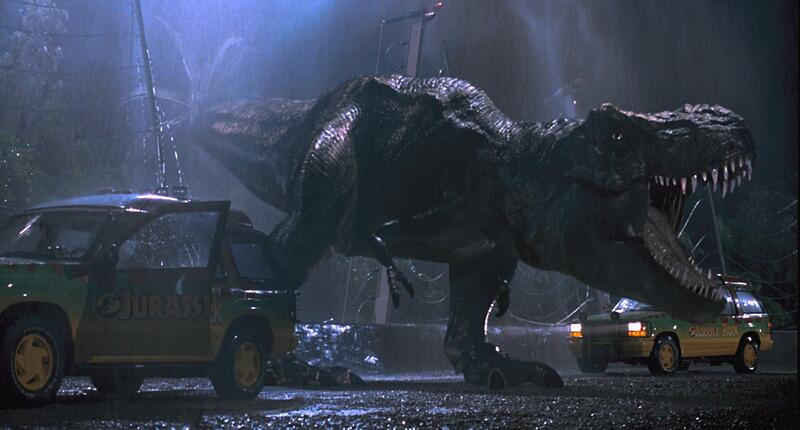 The dinosaurs are larger than life, and despite being over 20 years old, this film still looks pretty good. Like Jaws, Spielberg doesn’t overdo it when it comes to the terrifying moments of the movie. The sound adds to the intensity of the creatures as well as the action in general. Thanks to the technical successes, this film clearly earned the three Oscars it won. If you haven’t seen this movie, it’s one I recommend to everyone. It’s the perfect mix of action, adventure, thriller, and science-fiction. I would definitely suggest this to fans of Spielberg, or any of the stars. Because of the violent scenes, I would caution people with smaller children from breaking this one out for family movie night. The violence isn’t necessarily graphic, but it does intend to scare. Like the novel, this movie does a great job addressing the bigger questions behind the science it portrays. Overall, this is one of the best science-fiction films out there. I give this one 5 out of 5 stars. Good review. Saw this last year in 3D and while it was a bit choppy, the movie itself still worked like it had twenty years ago. The age of the film didn’t translate to 3D very well. Otherwise I think this still works wonderfully. Thanks for checking out the review. Pingback: The Fly (1986) | Did You See That One? Pingback: Fat Man and Little Boy | Did You See That One? Pingback: Panic Room | Did You See That One? Pingback: American Sniper | Did You See That One? Pingback: Independence Day | Did You See That One? Pingback: 99 Homes | Did You See That One?